They say there are no limits to marketing. The latest on the list of retailers is contests. Despite freebies being given to customers retail experts believe that contests make for an excellent marketing tactic. Let us see how. Modern retailing has brought in the existence of organised retail and many new strategies for marketing products, services and stores. Marketing does not cease at the advertising level and brand promotion and can take place in the form of retail contests which retailers hold on their store floor or at a particular venue. Contests are also a good way to generate foot traffic for the store and gather consumer data which can be used for direct marketing and e-mail marketing advertising. It does not take a humungous effort for a retailer to organise a contest on his retail floor. Nevertheless, what he seeks to achieve out of it should be clearly delineated. Educating customers about the brand, its USP and why it is the best option for the consumer is something that can be a part of the contest, banners, promotional flyers, pamphlets and so on. Customers walking into the store may not always participate in the contest, but that does not mean the retailer should alienate this prospect. Making them feel a part of the brand by just acknowledging their presence in the store can work wonders for the store and the brand. The types of contests a retailer can plan are as limitless as his imagination. The objective of any contest should be to create the best possible incentive to get customers into the store, and motivate them to provide their contact information. Incentives can be a valuable grand prize, but can also be in the form of a small gift given just for participating in the contest. Naming the brand ambassador or mascot/ character associated with the business is a good example of a contest. It educates the consumer, promotes the brand and in turn, you have a ready-to-use contest at your disposal. 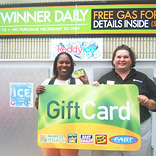 If the retailer has a website, customers can enter the contest via an online entry form as well. The retailer can set dates associated with the contest such as an entry deadline, a first round selection of three finalists, and finally the date to announce the grand prize winner. The contest rules and progress can be included in all advertising and marketing campaigns within the contest timeframe. National players such as Shoppers Stop, Pantaloons, Big Bazaar etc are known to hold such contests to attract foot traffic and make winners out of customers. Another popular kind of contest is a lucky draw. This ensures that the retailer gets customer details for his database and the preferences mentioned in contest forms help with future merchandise selection decisions. In addition to being a fun idea, this type of contest can create great word-of-mouth advertising and a good deal of shopper traffic. The grand prize for contests can be an opportunity for the winner to appear in a series of local advertisements with the mascot and to have her name and photo appear on the air, in the press, and on the website. Gift cards, a prize basket, a travel package are also other examples of prizes that could be offered to the winner and to the semi-finalists. Contests with media tie-ups are particularly good traffic builders, as the reach for potential entrants is greater than usual. The publication or station printing or airing your ads for the contest benefits from the tie-up contest, as it receives an increase in listeners and newspaper sales on a particular day. A radio station may provide a discounted advertising rate to motivate a retailer to direct listeners to a show in need of a ratings boost, or to a particular section of the newspaper. Serving multiple purposes, contests should be seen more than just events for dishing out freebies. A discerning retailer will understand it is more than just that. Contests are great opportunities to obtain contact information, generate foot traffic, and inspire word-of-mouth advertising for a retail store. Include a series of contests in your annual retail marketing plan.